Following the launch of our 'make your own map' portal, it's proving as popular as ever with a large number of clients signing up to use the portal in 2018. Clients now include Leicestershire County Council, Lancashire County Council, Buckinghamshire County Council, Living Streets, Milton Keynes Council, PWLC/South Yorkshire and Slough Borough Council. We were also delighted that Pindar Creative were awarded runner-up in ‘Best Sustainable Travel Initiative – Community', at the 2018 Modeshift conference, for the development of this product. Click here to find out how the team at Leicestershire County Council are using the portal to create site-specific maps for schools and workplaces. Basingstoke & Deane Borough Council commissioned Pindar Creative to deliver a new interactive cycle map, with clickable hotspots on the map linking to information on cycle parking locations, key interchange hubs and leisure facilities. The website is due to go live later this year. 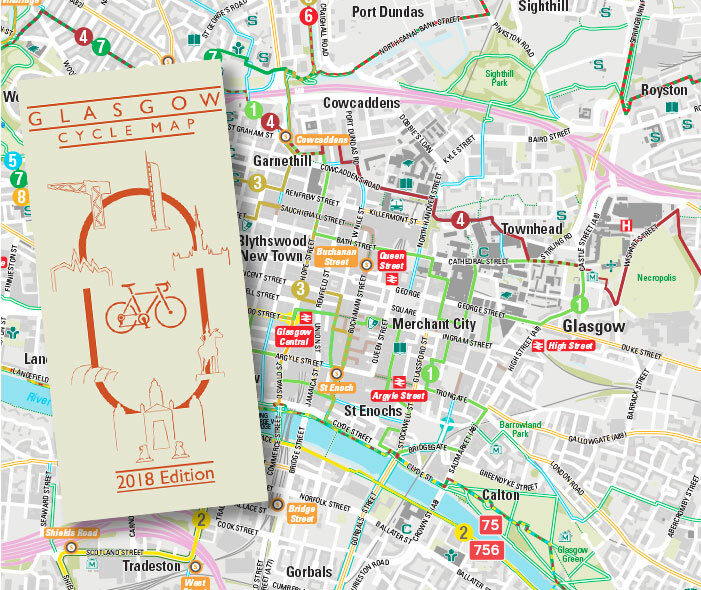 Commissioned by Glasgow City Council in 2018, the new Glasgow Cycle Map has been designed to appeal to local residents and the many visitors that Glasgow attracts each year. Its launch coincided with the European Championships held in Glasgow in August 2018 with the hope that the event would see an uplift in cycling locally. More than 10,000 copies were given away during the event. Pindar Creative were commissioned to create a series of A1 wayfinding posters for Surrey Hills Area of Outstanding Natural Beauty. The posters are sited at stations on the Guildford to Gatwick North Downs Railway Line and form part of a partnership project between Surrey Hills AONB, the North Downs Community Rail Partnership, North Downs Way National Trail, ACoRP, and Great Western Railway. 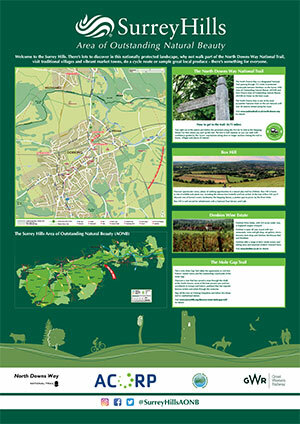 To find out more, please read the Surrey Hills Wayfinding Project case study. 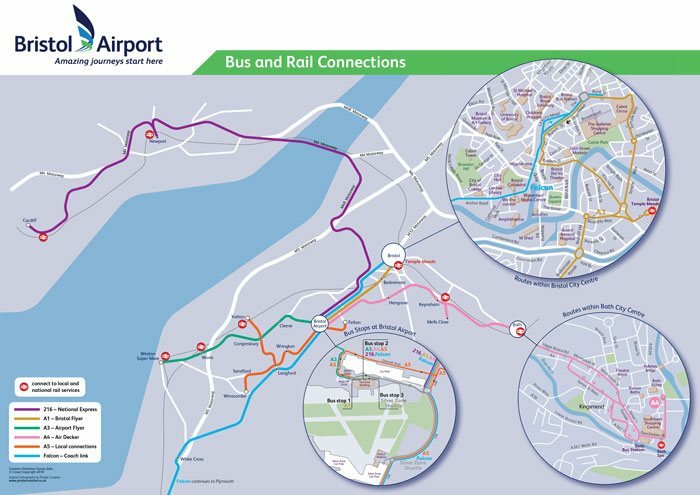 New map published to highlight direct bus services and convenient links to local and national rail stations.